Mel Hughes is our national Director of Change & Reform. 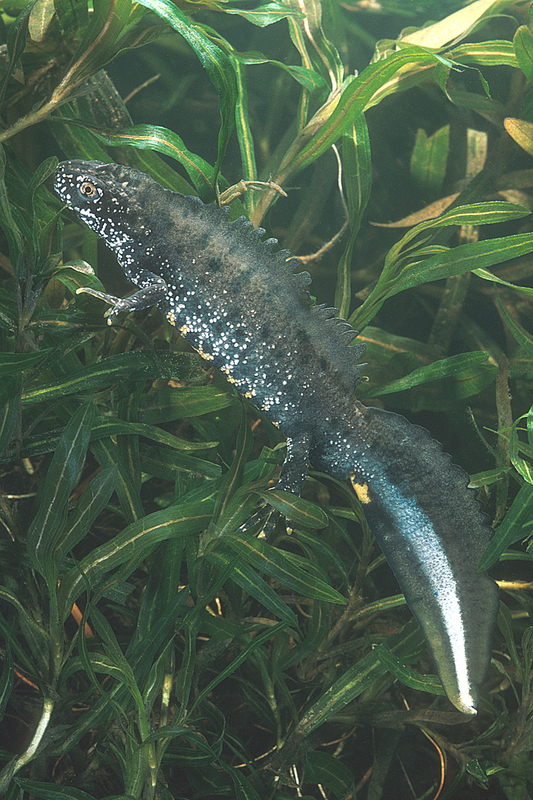 Following the announcement of funding for a national roll-out of district licensing, she reflects on the benefits this will have on great crested newt conservation. What an important couple of weeks it has been for protected species. Last week, the Government announced its intention to fund a nationwide roll-out of district level great crested newt licensing. This is a huge testament to the success of our pilot project in Surrey, the culmination of months of effort by Natural England, and great partnership work with Woking Borough Council. The new strategic approach involves building up a picture of great crested newt abundance, distribution and, habitat condition at district level and assessing the impacts on great crested newt from all planned development in the district over the whole local plan period. A key benefit of the approach for newts is that it creates a much more open choice of where to put compensatory habitat - maximising the opportunity to best strengthen, extend or link up existing populations. As well as improving long-term conservation outcomes for great crested newt, the approach will radically reduce delays, costs and uncertainty for developers including home builders. We predict that the programme will see £25M invested in maximising and providing habitat for the great crested newt, over the next ten years. This is probably the biggest single financial boost ever secured for a protected species in England. I don’t know of any other funding decision for a single wild species anywhere near this scale. And, just as significant, is the creation of a renewed approach to species protection. More importantly, it is supported by builders and local councils, and which, I am convinced, marks the beginning of a change in the widely held belief that these charismatic creatures are simply a liability to avoid. There is always a tendency for the issue to be portrayed as newts versus builders . Perhaps that’s how it feels sometimes, but it really needn’t be like that. One of my most memorable journeys into work last year was hearing John Humphrys on the Today programme saying that new licensing policies could actually be a win-win! District licensing will cut out a lot of the ‘process’- saving a huge amount of cost and delay for builders, as well as helping people get the homes they need – but it’s also increasing the extent and quality of newt habitats. The dream really is coming true. Last weekend, my Natural England colleague Rob Cameron, spoke at an annual national gathering of herpetologists – at which he was given a thorough grilling about district licensing! Amphibian recorders embody the spirit of the volunteer conservation movement and we hugely value their input, which will undoubtedly make district licensing even better for newts. But whilst there were some clear concerns about this new approach from the herpetological community, there was also widespread support. One of the speakers at the herpetologist’s conference, quoted from our Chairman, Andew Sells’ enthusiastic letter to The Times about district licensing, concluding that ‘they’re keen - even at the top’. Well, that’s true too. Indeed, Andrew went to Woking yesterday, to see for himself the newt habitat improvements that are being put in place - and to thank Woking Borough Council, face-to–face, for the incredible job they have done in helping us to get to where we are today. But let’s not stop here. Let’s be ambitious in how we build on this. 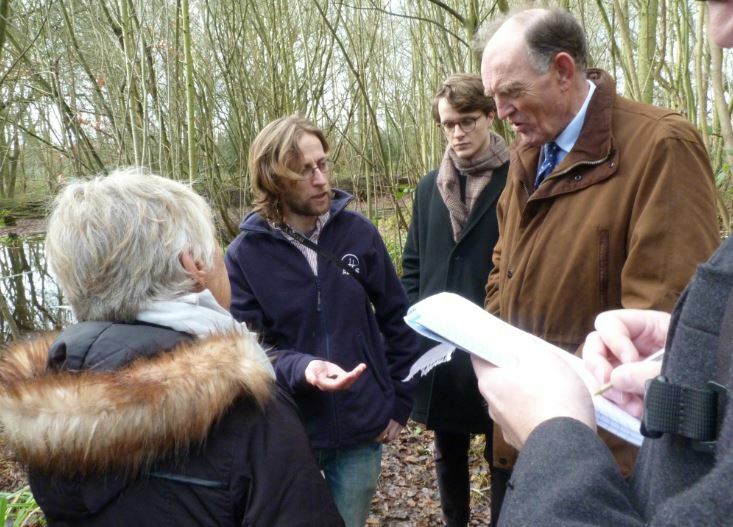 Last November, one hundred representatives from across the industrial, planning authority and ecology sectors came together, to give support to a wider net-gain approach for biodiversity and people. This level of support has the potential to make the targets (such as the 300,000 hectares of net gain) that the Ecosystem Markets Task Force estimated back in 2013 a reality. We are looking forward to making some bold steps together in 2017 – towards achieving greater outcomes for both people and nature. Sign up to our blog for regular updates.